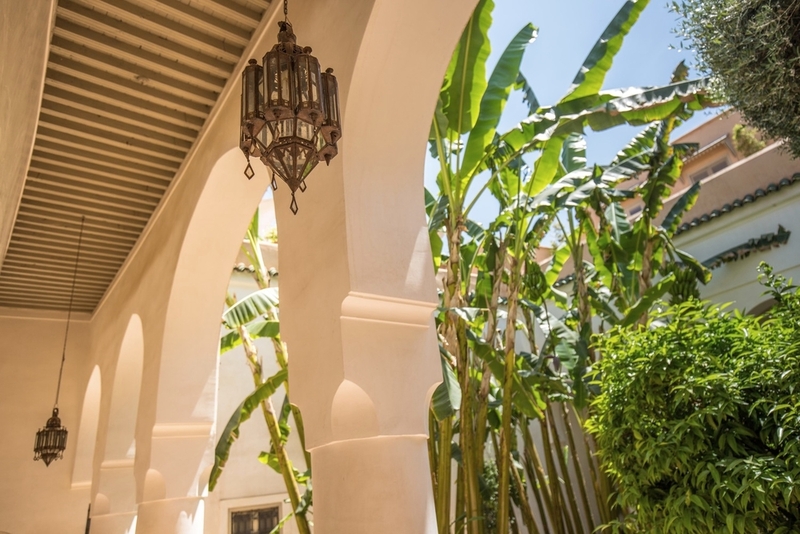 It’s just a few steps from the urban bustle of the medina to the quiet luxury of our courtyard garden, but arriving at the Riad Berbere is like setting foot in a whole new world. Five spacious guest rooms give onto the lush garden, the heart of our traditional Moroccan family home and a highly prized asset in city with little private green space. Light lunches and afternoon tea are served in the shade of luxuriant banana, orange and olive trees, while the small bathing pool at the centre of the courtyard is the perfect spot for a refreshing post-medina dip. Built by a wealthy Moroccan family in the 17th century, our riad has been authentically renovated by leading Belgian architect Quentin Wilbaux. Warm red and ochre carpets and furnishings contrast beautifully with the riad’s cool whitewashed walls. Traditional architectural elements, from original cedar-beamed ceilings to galleries of archways and fine hanging lamps give a sense of an enchanted palace frozen in time. Daytimes in the garden give way to evenings on the terrace. Sunset drinks overlooking the rooftops of the medina offer a unique perspective on Marrakesh. Dinners are served here too, with flickering candles and starlight combining to create the perfect romantic atmosphere. Everything on the menu is produced from scratch in our organic kitchen, from fragrant couscous suppers to abundant breakfasts of crepes, pastries and homemade jam. Both cuisine and décor evoke Morocco at its most authentic, creating an atmosphere redolent of romance, elegance and relaxation. With just five bedrooms, our riad is ideally set up to offer a warm personal welcome. 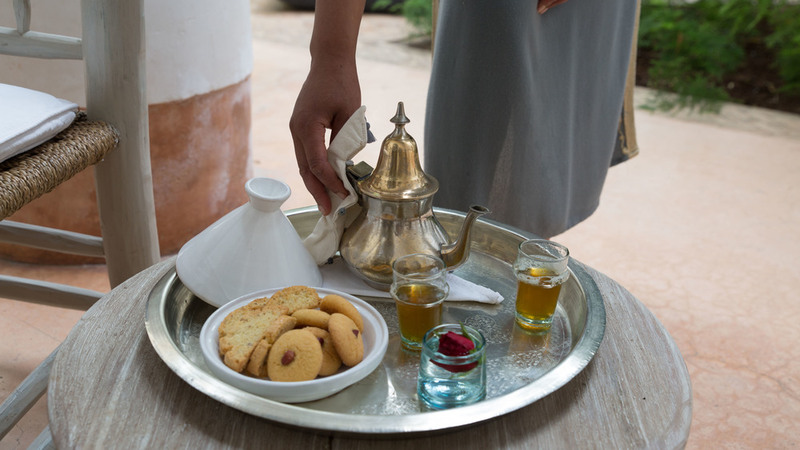 Guests are made to feel like old friends, their every request taken care of, whether it’s a visit to our traditional hammam, a day trip to the coast, Atlas mountains or desert, or a cooking lesson. We offer massages, manicures, pedicures and henna treatments, plus the use of a Mobile phone with Moroccan number to make life in Marrakesh as easy as possible during your stay. We’ll book car hire, private dinners and local entertainment too. We think of ourselves as a home away from home for our guests. Welcome to our oasis in the heart of the medina.